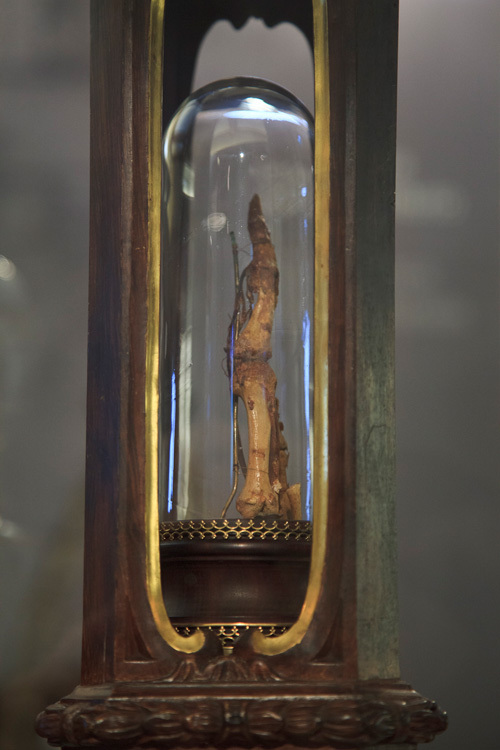 Below, the third guest post by Evan Michelson of TV's "Oddities" and the Morbid Anatomy Library documenting our trip through Italy supporting our book-in-progress on the history of the preservation and display of the human body. 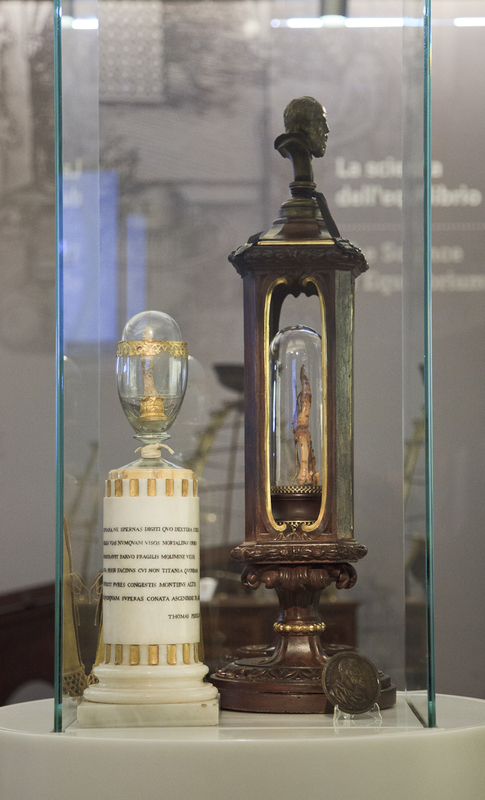 These two reliquaries contain a total of three fingers and one tooth from the revered mathematician, astronomer and physicist Galileo Galilei - the father of modern science and one of the greatest theoretical minds that mankind has ever known. He is a secular saint and a "martyr to science," a man convicted and imprisoned by the Inquisition for the crime of Copernicanism; he advocated for a heliocentric model of the solar system - the idea that the Earth revolves around the Sun. This was heresy according to the Roman Catholic Church, and it took 300 or so years for the Vatican to finally relent (somewhat) and issue a half-hearted apology. It is an egregious chapter in Western cultural history, and it highlights one of the central schisms between faith and science. I have wanted to visit these particular digits for many years, and I fully expected my knees to go weak. Strangely enough, nothing of the sort happened. The power of Christian relics are both devotional and emotional - they conjure up the presence and the physical reality of the Saint; they allow the faithful to understand and commune with the very human aspect of a person who has been elevated to a more abstract state of high holiness. A secular figure such as Galileo generally needs no such reminder: we know that he lived, and we know what he accomplished. His fingers and that one tooth seemed improbable and curious - less like objects of reverence than slightly whimsical (and grisly) souvenirs. A case on the other side of the room, however, contained Galileo's personal scientific instruments, including two telescopes of his own design. Galileo was (in addition to everything else) an inventor, and he was the first to improve on an original Dutch design by boosting the magnifying power of a spyglass considerably while creating a non-inverted image. He then trained these simple tubes at the Heavens. It was at that moment that modern astronomy was born; our solar system and our galaxy became comprehensible. We understood for the first time that the Milky Way that spills across the night sky is made of stars. I looked upon those unassuming tubes of wood, glass and leather, and finally I felt an overwhelming awe. 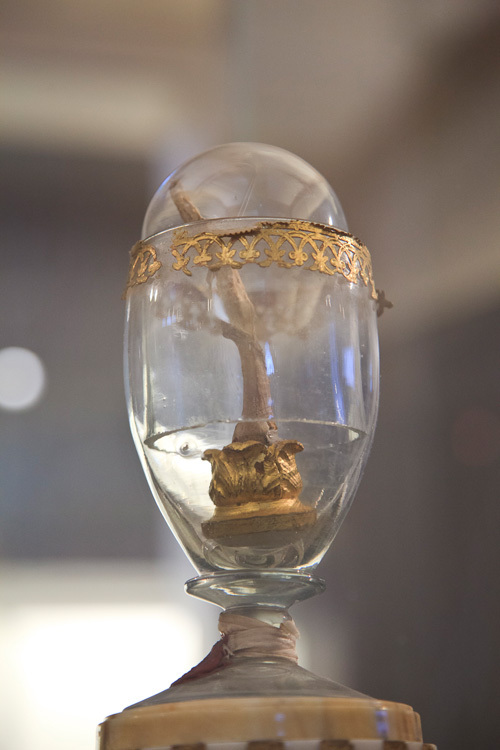 You can find out more about the Museo Galileo by clicking here. You can read future posts by Evan both on this blog and on her Facebook page, which you will find by clicking here. The images are mine.